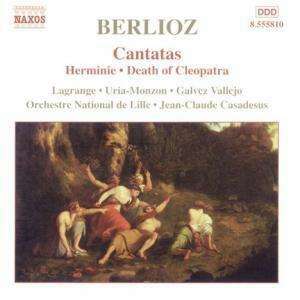 Der Artikel Hector Berlioz (1803-1869): Kantaten wurde in den Warenkorb gelegt. 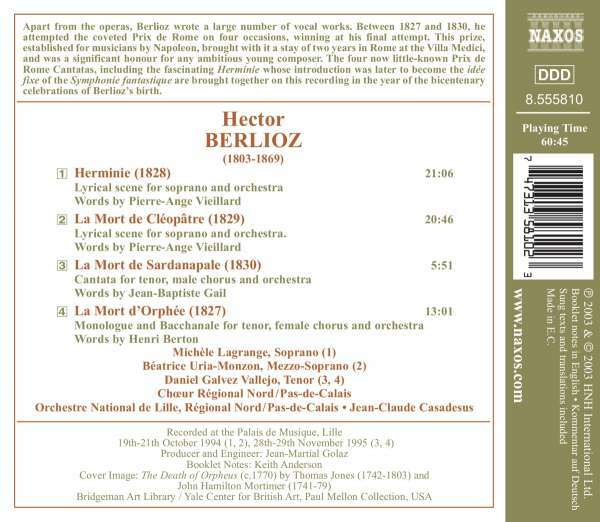 Apart from the operas, Berlioz wrote a large number of vocal works. Between 1827 and 1830, he attempted the coveted Prix de Rome on four occasions, winning at his final attempt. This prize, established for musicians by Napoleon, brought with it a stay of two years in Rome at the Villa Medici, and was a significant honour for any ambitious young composer. The four now little-known Prix de Rome Cantatas, including the fascinating Herminie whose introduction was later to become the idée fixe of the Symphonie fantastique are brought together on this recording in the year of the bicentenary celebrations of Berlioz's birth.